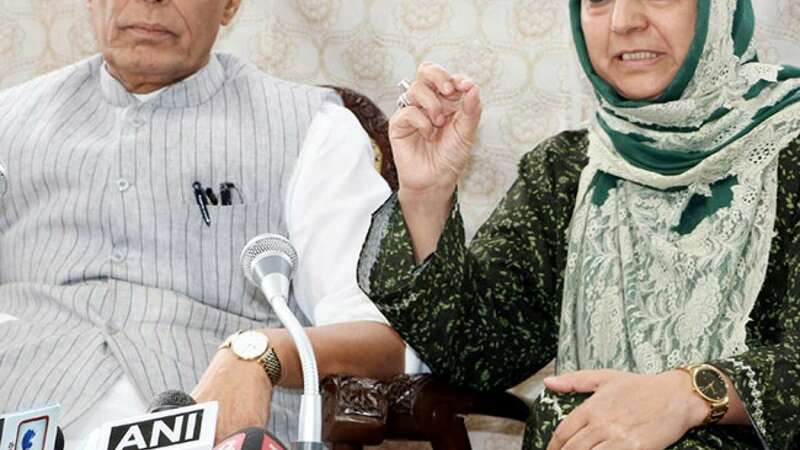 New Delhi : Union Home Minister Rajnath Singh on Monday evening spoke to Jammu and Kashmir Chief Minister Mehbooba Mufti in the wake of terror attack involving Amarnath pilgrims and assured her of all support. He also spoke to Governor N. N. Vohra. Informed sources said Rajnath Singh also talked to state Director General of Police S. P. Vaid and has sought a report over the attack. He will hold a high-level meeting to look into the lapses that led to the pilgrims being killed in the attack. National Security Advisor Ajit Doval held a high level meeting with top Home Ministry and security officials on Monday evening and reviewed the security situation in the state. Seven pilgrims were killed and 14 others, including policemen, injured on Monday when a bus of yatris was caught in a cross fire between militants and a police party in Jammu and Kashmir's Anantang district, police said. The bus was carrying pilgrims back from Baltal after performing the yatra.